Not too late to start embracing what is coming next, artificial intelligence, drones, robots etc. There is a new way to take selfies and this time around it is not with your phone camera – Drones. Although your phone plays a huge role but you can agree with me that group selfies have not been actually easy taking with phones. A new project on Indiegogo is bringing the new way of taking selfies – SELFLY. 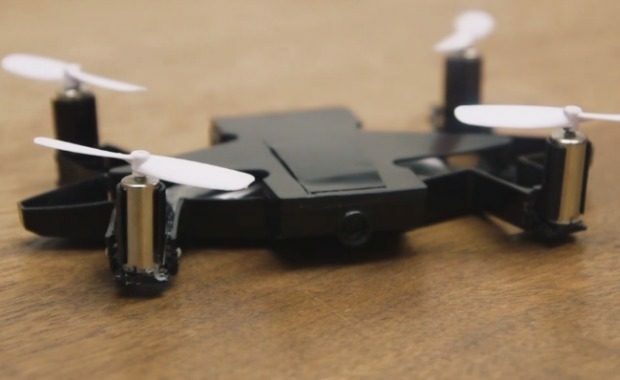 The selfie drone can serve two purpose for less cost. When you’re not piloting the drone and taking shots, it doubles as your phone casing. SELFLY’s casing ca fit into any 4-6 inches phones. Meanwhile, top-range Samsung phones and iPhones require a dedicated casing. SELFLY drone uses top stabilization technology to counter the effect of surrounding air giving you stable shots while on air. You control the drone from your phone by using one out of these three modes. Joystick control : Works with your phone’s gravity sensors. Fly by picture: Using the real time image to move the camera side ways. Fly Pod control: A virtual joystick appears on your screen for controlling SELFLY. Read Also: What is Nintendo Labo ?